Left-click to spray cement to build new bridges and reinforce existing ones. Right-click to toss dynamite that destroys bridges. WASD/Arrows to climb ladders and cross bridges. 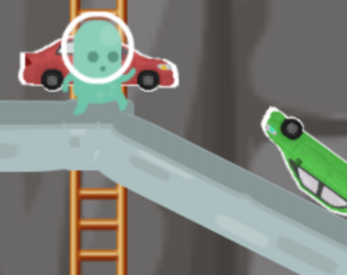 Build and destroy bridges to guide as many cars across the gaps as possible. Made in 48 hours for the Arbitrary Game Jam #13, incorporating the jam's two randomly generated themes: Second-Rate and Cementation.